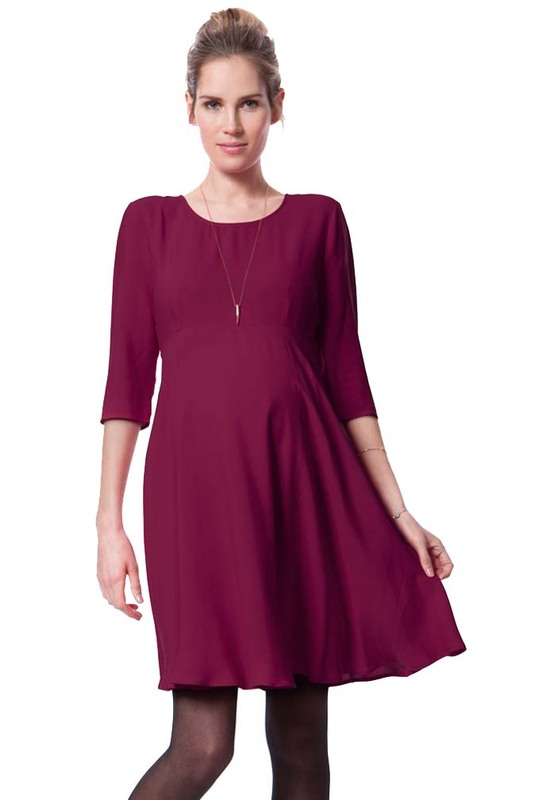 In a rich berry shade, Seraphine's Iris Woven Maternity Skater Dress is a must-have for your new wardrobe. Made in the softest fluid viscose, it drapes beautifully over your curves, providing a flexible fit before, during and after pregnancy. A curved empire waistline defines your shape, while the skirt falls in a relaxed fit n flare style that’s flattering and easy to wear. This versatile maternity dress is perfect for the office or an evening out, and can be dressed down for the daytime with ankle boots and a jacket. Looks great with a belt (not included).